100 years ago, an influenza pandemic stunned the world, killing more than 50 million people worldwide. 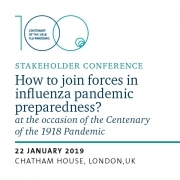 The world remains vulnerable to such outbreaks, and due to the fast evolution of the influenza virus, globalization and intercontinental travel, outbreaks on the scale and severity of the 1918 pandemic would have a devastating effect today. But lessons learned from the past century of research and international cooperation should help prepare the world for future pandemics. 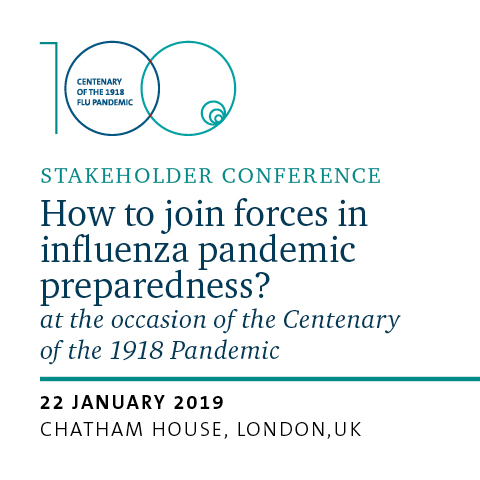 ESWI, in partnership with the Centre on Global Health Security at Chatham House, organized the Influenza Preparedness Stakeholder Conference on the Centenary of the 1918 Pandemic to provide an opportunity to review the advances made over the past 100 years, evaluate current preparedness levels and discuss the pathways required to improve policy engagement. The conference was held on 22 January 2019, and the video-recorded lectures of the meeting are now freely available at ESWI TV. Click here to watch the lectures.